Lovely and filled with tenderness. Lovely. A gem created with words. Come read Frank’s beautiful piece “Pretty Lady” on long lasting love! This was a fantastic post! Hope this your reality and not fiction??? Reblogged this on Raudy's Blog. Who wouldn’t dream to encounter his pretty lady? Thank you for visiting; https://teeceecounsel.wordpress.com/2017/08/06/should-i-or-should-i-not/. God, I love this. Thank you. Lovely Frank! It obviously came from the heart. Love the message. This piece is worth reposting. 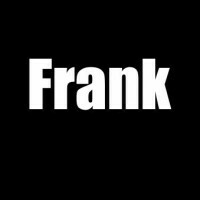 I love this, Frank! It has been so long since I have read your beautiful words. True love. Nothing but beautiful. Enjoyed reading your poem of Pretty Lady. I love the feelings you wrote about. I guess that is why I write words that free me. Very lovely poem. Literally gave me goose bumps. I love anything love. Loved this piece! Such a great painting of those first moments and then the continuation later! Excellent. Goosebumps on my skin! ❤ Beautiful. I love romantic poetry; this is very sweet! thank you for visiting my blog, the little red wagon blog and liking my Waiting post! Thanks for the follow. Yes, life is great. Looks like you’ve had your share of love’s highs and lows too. Now following you and your beautifully written posts. Survival of love stale folks recount, is always strange to me, I pray my story changes too. Never doubt yourself. Your words are beautiful and powerful! This made me smile! (= Your writing is really good! Cheerful and romantic. I love your work! When you found your special woman the world became beautiful and full of poetry. Right? Yes, Yesterday my wife and I celebrated 55 years. Congratulations for a long-lived marriage — something almost unheard of these days. Warm wishes to you both for many more years together.